PlayStation games could find their way to a new medium. Last week, Sony announced plans to launch its streaming Gaikai service to PlayStation 4 and PS Vita devices, allowing users to enjoy PlayStation 3 games, among others, wherever they choose. According to Sony Worldwide Studios president Shuhei Yoshida, that's only the beginning. Speaking with Dengeki Online, Yoshida explained that the service could find its way to other platforms, including Blu-Ray players, TVs and most importantly, handheld devices. "We would like to deliver PlayStation games to all devices," he said. 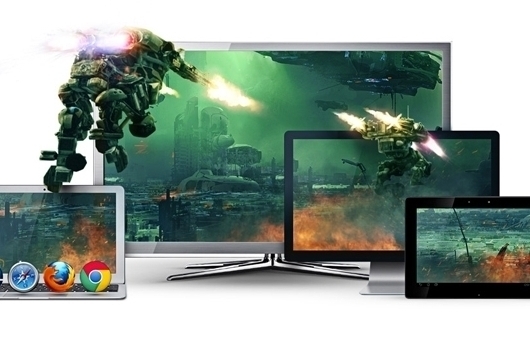 "So we're considering various things like PC, TVs, Blu-ray players, smartphones and tablets. We hope to continue to expand not only to Sony devices, but even to devices other than Sony's." As for when the service would be ready for mobile devices, Yoshida explained it would take some time, as the process is "still being studied." Meanwhile, it is launching in 2014 for PlayStation 4 and PS Vita, so expect updates in the weeks ahead.